I bought this Q-bus system on ebay and drove to North Carolina to pick it up. 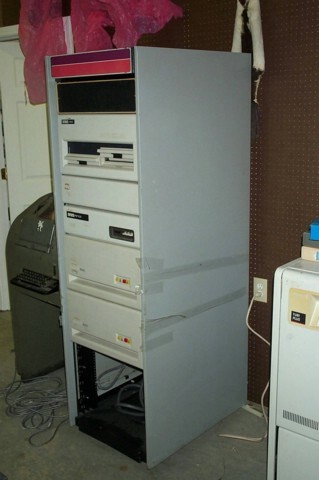 It came in an H960 rack with two RL02 drives and an RX02 dual floppy unit. After I unloaded it, I powered it up and hooked it up to a VT100 terminal to test it. I was able to boot from an RL02 pack. Both RL02 drives work and one of the RX02 drives works.